Emily Denman walks toward her siblings as they play in the San Marcos River outside of New Braunfels. 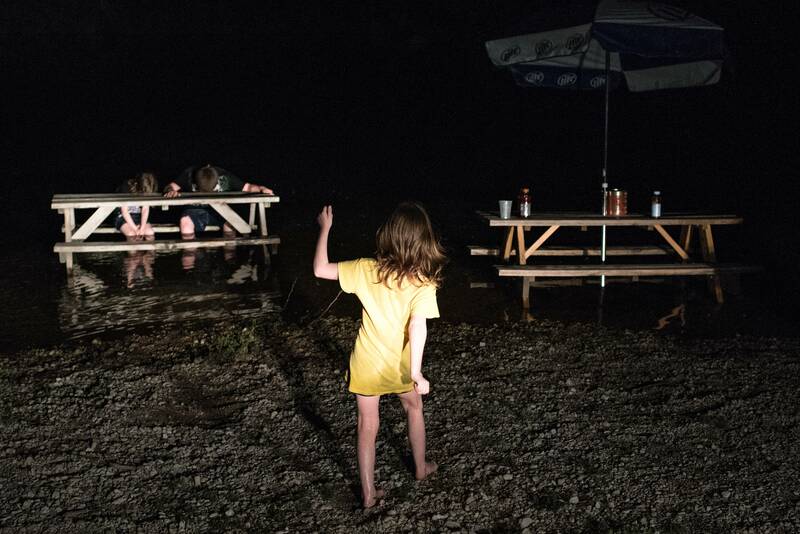 Their father had parked his truck close to the water and turned on his headlights, so the children could swim at night. 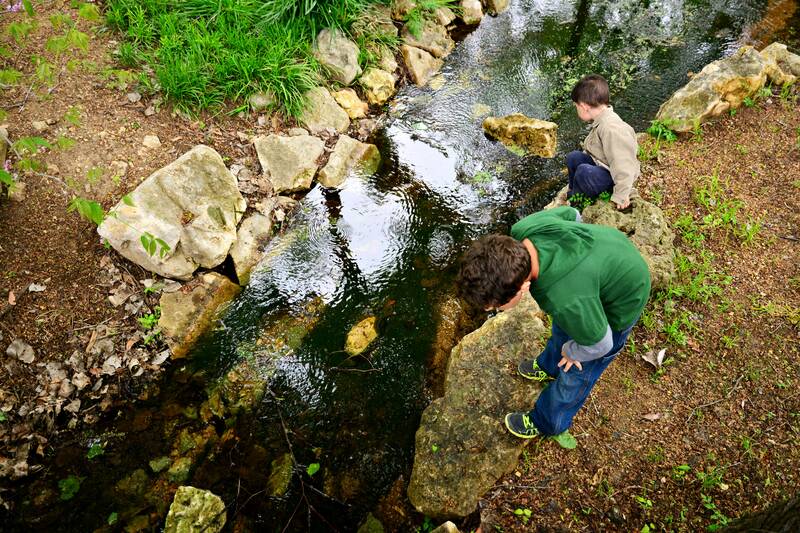 Two children search for tadpoles at the Umlauf Sculpture Garden on Sunday. To celebrate Easter, the garden hosted a family day where children of all ages enjoyed egg hunts and games.